Why Smart Sprinklers Are Surprisingly Practical | OhGizmo! By Aiza Coronado on 01/18/17 • Leave a comment! What?! Smart sprinklers? Uhm, no thanks. If you think you’d rather water your plant the old school way than waste money, bandwidth allocation, and time in setting one up, wait. Smart sprinklers can be totally convenient and heaven-sent for the right people. Here are the reasons why. They’re really good for the environment. If you live in California or somewhere else where drought’s a serious porblem, you may be very water-conscious. Having a smart sprinkler can help as they manage your water usage. They’re usually connected to the Internet and they keep tabs on the weather. When it’s going to rain, there’s no sprinkling for that day. Most smart sprinklers claim that they can save up to 50% of outdoor water usage. They can help plant-loving people who don’t have the green thumb. Oh, this is my tribe. I love plants, but sometimes they just die on me. With a smart sprinkler like Parrot Smart, I am certain I can be a good plant mom. Parrot Smart monitors the amount of sun your plant receives, the fertizlier in the soil, and even your plant’s temperature. You can check the app for coaching and some tips. 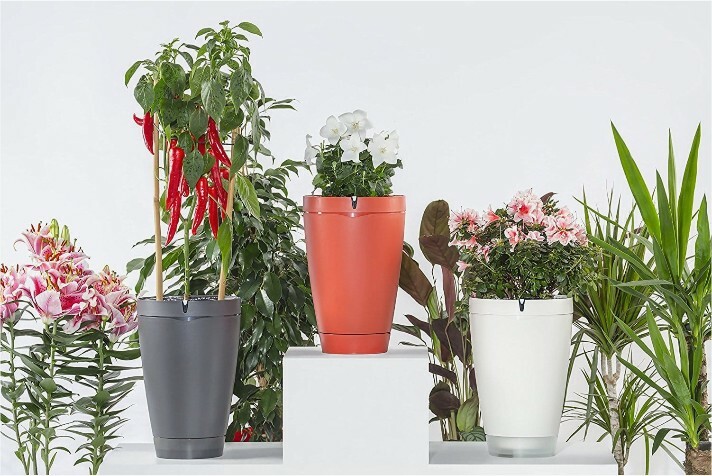 There are also simpler sensors like PlantLink which alerts you whenever your plant needs some watering. They’re really helpful, especially for travelers. If you travel all the time and you always come home to a dying or dead plant, you can turn to GreenIQ’s Irrigation Controller, Rachio, RainMachine or Blossom. These are some of the most complete smart sprinkler systems which can follow a watering schedule, rely on weather forecasts, and can be remotely monitored and adjusted through an app. Most of these sprinklers let you divide your yard into sections if you have various plants with different water requirements. Smart sprinklers were not made just because. They actually do have a purpose. Yes, they are the “I never knew I need you until I met you” kind of tech. ← Would You Like To Own These Weird, But Smart Gadgets?